It probably isn’t a good idea to star the mushroom in this weeks CSA newsletter-blog post since there weren’t enough for everyone today; but when you are walking out of your front door to harvest shiitake mushrooms your husband “grew” to bring inside and saute with the spring green garlic–or perhaps with the fleetingly appearing garlic scapes–to start your meals, then it is hard not to stop and snap a picture and get a little excited. Growing our own mushrooms has been a bit of a trial and error deal, but we have started getting some every year now, so that is definitely a step in the right direction. And of course, it is really nice to gorge on all the funky or slug bitten ones ourselves. It is a lot of fun and the whole thing is so different from growing vegetables. The flavor, too, is a special and wonderful thing. 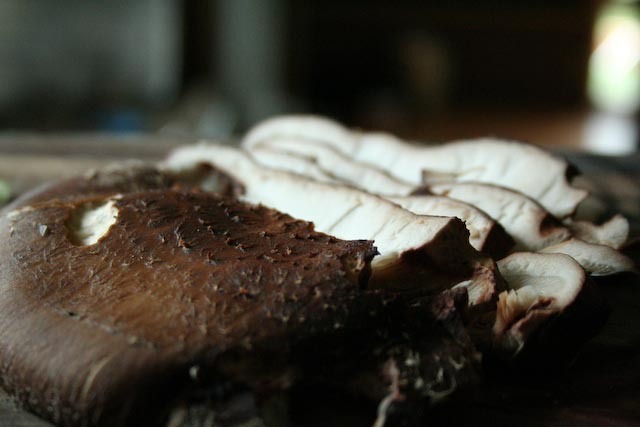 I have never–not even when I have bought mushrooms from local producers–tasted mushrooms like these, eating them right after plucking them off the oak logs they were grown on (except of course when doing the same with mushrooms in the wild). All of that is part of the beauty of choosing small and local. A farm member remarked today that she barely ate any salads through the winter when CSA harvests were off, the flavor of the farm’s salad mix lingering in her memory with nothing available at the store quite the same. I know what she means–it is hard to find produce that comes close to what you are going to receive from your CSA or find at your local farmer’s market–or better yet, grow yourself. Even market shops that hope to include truly local produce in their selections have a hard time finding farmers who want to go that route. Although there have been a handful of times when we have sold extra produce to our local market, this is definitely our last stop. We prefer selling things directly to the eater, it is much better for us and a lot funner for them. 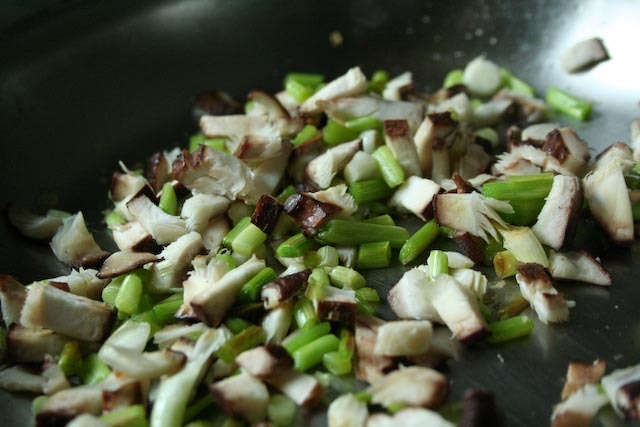 As I found myself mentioning to anyone looking curiously at our green garlic on the farmer’s market table these last few weeks: there are foods that are “farmer’s market only” kinds of things. In general, anyways. 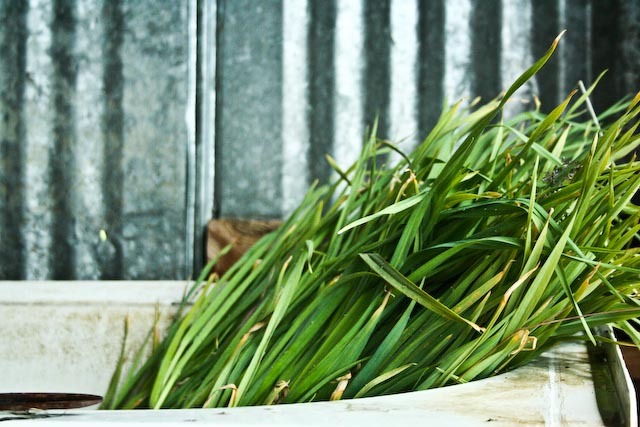 I don’t make it to the city often, so I don’t know what markets offer there; but for the most part, green garlic is a spring treat you are only going to see at your local farmer’s market or in your CSA harvest. And there’s a lot to say for that. As simple and humble as what we offer is, it is as equally gourmet and foodtastic and unique and special. The amazing flavors of things as mundane as lettuce and the offerings as special as ultra fresh mushrooms and spring pulled garlic are a small bit of what makes this adventure–for all of us–pretty awesome. What I love about this the most is that these are all simple, tiny pleasures we bring to the table, but they really do add such an inordinate amount of depth and beauty to our lives. Food is the most basic of human needs and human pleasures. For very little and with very little effort, we can magnify the delight and joy of “eating” a hundred fold. Another farmer that we know–probably not the first to do so–turned the old phrase “dirt poor” on its head when he was being interviewed about his life as a farmer by claiming that yes, he was poor, but not dirt poor…he was dirt rich. It is true, there are things a farmer is rich in beyond measure. We, alas, would also probably be classified as the stereotypical poor farmers because even though this model of farming can be quite lucrative, we have many extenuating factors that keep our bottom line lower than we would like. Still, besides being rich in land, we are also exceedingly rich in food! Those mushrooms! So good. All our meals, really. We can’t even go out to eat except for at a few special places because with the ingredients we have access to, we are eating like kings at every meal, even if we aren’t living like them. But really, that all depends on how you define living like kings…because I think that we are. And I hope all of our farm members and market customers are enjoying their food this much too. I hope that these humble vegetables and our weekly interactions around them ultimately result in happy tongues and full and fulfilled bellies. I hope that for all of us, our meals bring us the most simple of pleasures.